Background promo - Brixton sleaze merchants Phobophobes’ new single ‘Human Baby’ due for release on November 11th on Ra-Ra Rok Records is already getting great love as Steve Lamacq’s single of the week on BBC 6 Music and it’s easy to see why with its wicked off-kilter Neil Hannon meets garage rock sound. 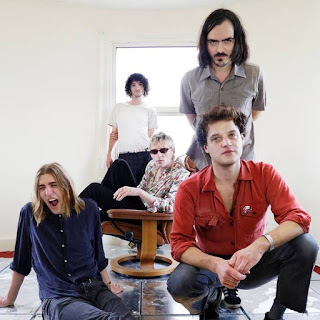 The fast rising band will be heading out on tour supporting Telegram between October 27 - November 3 where they will continue to offer their growing reputation and dedicated fans the sort of sleazy glam rhythms the band are becoming synonymous with, meshed with a pantheon of sounds from an eerie yet somewhat cheery afterlife. The stunning B-side of the single is entitled ‘Free The Naked Rambler’ which has also gained 6 music airplay and is also the last track guitarist George Russell ever recorded with the band before his sudden and tragic death earlier this year. Both tracks will feature on their debut album released next year. Facebook here. 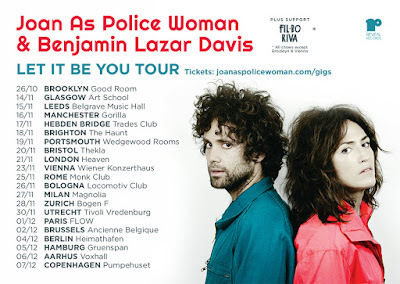 Joan As Police Woman & Benjamin Lazar Davis - Satellite. Background promo - Brooklyn based Joan As Police Woman and Benjamin Lazar Davis today release Let It Be You, via Reveal Records/BFD*/RED Distribution. The band will celebrate the album's release at Good Room in Greenpoint on 10/26. Also on the bill is another of Ben's projects, Cuddle Magic. Mother Mink - Doobie Doobie. Background promo - Mother Mink is a music duo based in Stockholm created the autumn of 2016. The band plays experimental indie pop with both electronic and acoustic elements. A big part of the music has been created by distorted saxophones, clarinets and dirty beats. Mother Mink’s music can be described as a cross between punk, pop and indie. The music is theatrical, humoristic and has many interesting melodies. The musical references of the band comes from everything from jazz to punk. Their aesthetics is described by themselves as a ”kitchy, dirty and glamorous plastic world”. On the stage Mother Mink wants to convey musical chaos where a qualitative freak show is their artistic goal. To achieve this Mother Mink often invites other crazy musicians to join them. They themselves describe their music as an explosion of art. Astari Nite - Until the End of the Moon. Background promo - Astari Nite is proud to bring to the world the music video to the title track of their second, and latest album, Until the End of the Moon. 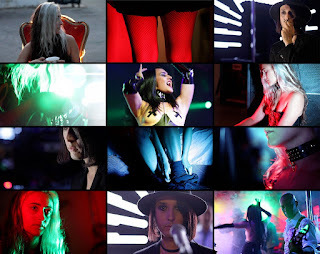 This is the 3rd music video for the album, following the music video for “Always Like Yesterday” and the live shot production for “Joyful Wish” which was shot at Revolution Live in Ft. Lauderdale while the band opened for She Wants Revenge. Formed in 2008, the group consists of Mychael Ghost (lead vocals), Illia Tulloch (Drums), M. Sallons (Bass), Michael Setton (Guitar), and Howard Melnick (Guitar). Signed to (Danse Macabre Records). 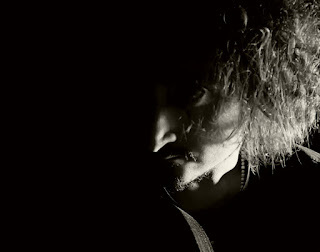 Astari Nite has headlined numerous shows, as well as opened up for many national acts such as Peter Murphy, The Psychedelic Furs, ColdCave, Stars, Assemblage 23, Seabound, Modern English, Andy Rourke of The Smiths, Apoptygma Berzerk and De/Vision among many others. Annie & The Make Believe - Let's Get Together Again. 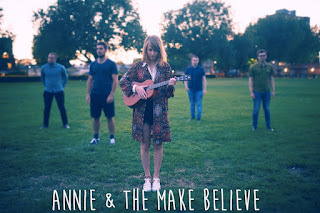 Background promo - London folk-pop band Annie & The Make Believe have announced the release of brand new single 'Let's Get Together Again' taken from their upcoming debut EP of the same title, due for release on October 31st. Fronted by Australian Annie, the debut EP 'Lets Get Together Again' from the five-piece is a collection of sweet songs, with foot tapping catchy melodies and heartfelt lyrics. James Edge And The Mindstep - Widdershins.